Did somebody say National Donut Day? I'm there. 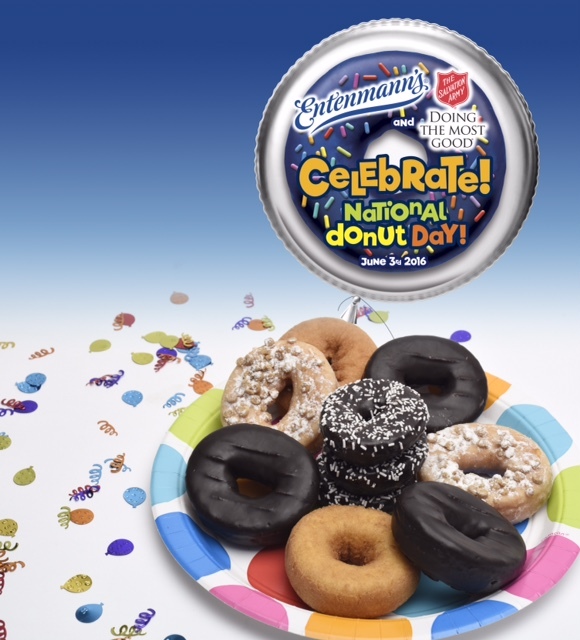 Entenmann's and The Salvation Army are celebrating the National Donut Day with a Sweepstakes. Head over to their facebook page to enter. You have the chance to "win free donuts for a year." In addition, for every entry to the contest, $1.00 will be donated to The Salvation Army. Up to $35,000 could be donated. That is a wonderful thing. Brands that collaborate and give back are always my favorite. Plus, who am I kidding, I love Entenmann's donuts. I eat them for snack and even with my morning coffee. - National Donut Day commemorates the "donut lassies," female Salvation Army volunteers who provided writing supplies, stamps, clothes-mending, home-cooked meals, and of course, donuts for soldiers on the front lines. -Entenmann's Bakery produces more than 780 million donuts a year to keep up with the demands of Entenmann's donut lovers nationwide. -The Rich Frosted Donut has been Entenmann's #1 seller since its introduction in 1973. 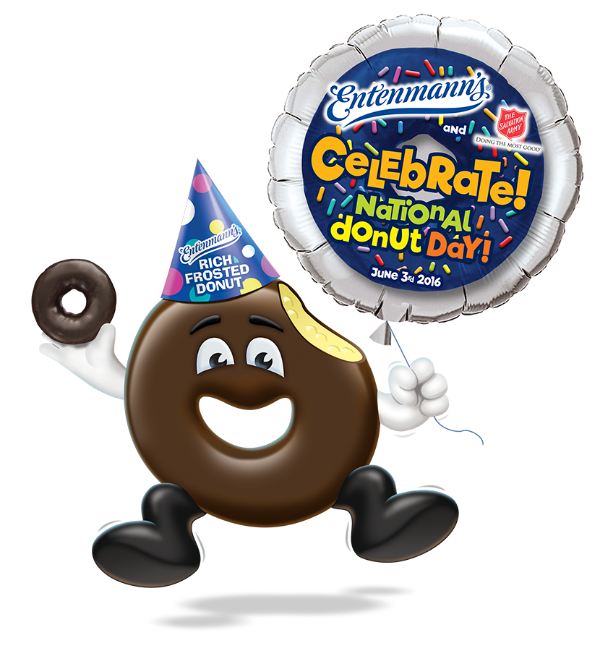 The package includes the following: 5 $7 Entenmann’s Coupons, one $25 AMEX gift card, Entenmann’s Party Plates & Napkins, one National Donut Day T-Shirt and one Rich Frosted Donut Plush Toy with a Party Hat! Enter using the rafflecopter widget. You may do 1 entry or all entries. Giveaway is open to US, 18+. Prize pack will be sent out from Sponsor. All entries will be verified.